This weekend I was at home in Chicago celebrating a baptism and my first of two Thanksgivings. My side of the family won’t be able to be together this year for the holiday so some of us celebrated this week and others will celebrate on the actual day. I only had one request for the weekend: that I get to share one of the recipes from the box. 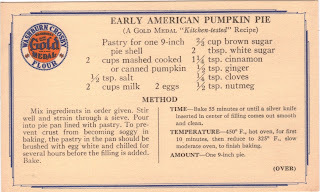 In honor of the holiday, I chose to make the traditional Thanksgiving dessert, pumpkin pie. According to the Guinness Book of World Records, the largest pumpkin pie ever made weighed 2,020 lbs and measured 12 feet, 1 inch across. That sounds like something that should be on Man Vs. Food, I’d love to see Adam Richman take on that beast! I’d also like to see the oven they cooked that thing in and know how long it took them to fully cook it. 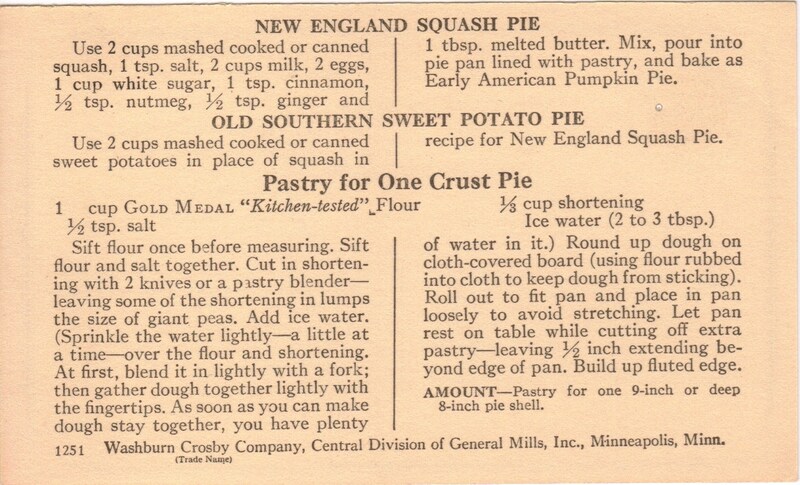 The pie I made took quite a bit longer to cook than the time suggested on the card, but we may have been having some oven trouble as we later discovered. 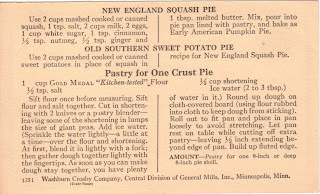 If you make this recipe, which I recommend you do, keep an eye on the time and be prepared that it may take longer to cook. It will also need to sit for a while to cool and firm up. This was one of the best tasting pumpkin pies I’ve had. It was rich, but not overpowering and very easy to make. 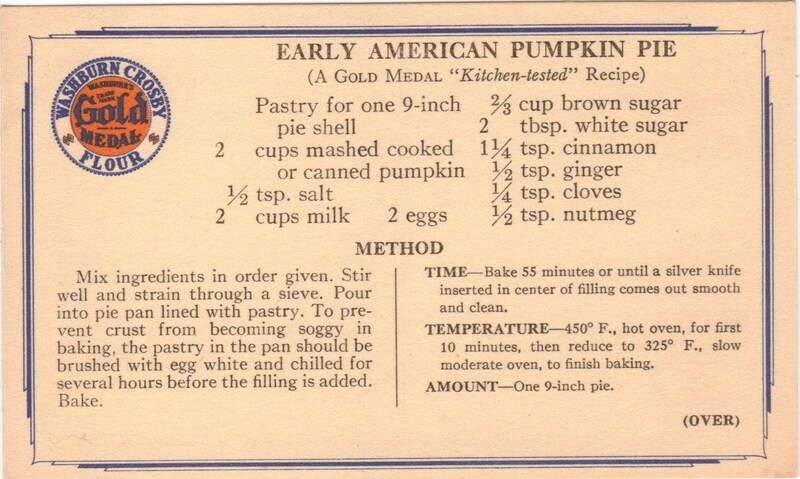 And if you’d like to try something a little different, there are two alternative recipes on the backside of the card. Any of the variations would be great for a Thanksgiving dinner table.